Here we’ve tried to explain the basic meaning of some of the laws and legal terms commonly referred to in brain injury claims. Please Note: This glossary is for information only and does not constitute legal advice. We also have a glossary of clinical terms where you can find lay man’s definitions of many of the clinical conditions, procedures and terms associated with brain injury. When a qualified / authorised legal expert acts on your behalf during court proceedings, usually a solicitor or barrister. Alternatively, the Mental Capacity Act 2005 allows for a statutory form of advocacy to safeguard the needs of people who lack capacity to make certain important decisions for themselves. See Mental Capacity Act and Independent Mental Capacity Advocate. Insurance that can be bought after an incident to cover the costs involved in using a solicitor to pursue a claim. Describes several methods of dealing with disputes without going to court. Mediation and conciliation use neutral third parties to facilitate (but not impose) a solution. Arbitration, adjudication and expert determination can also be classed as ADR although they involve the imposition of a solution by a third party and are therefore similar to the court process. Relates to motor insurance claims where an insurer can exempt itself from certain Road Traffic Act obligations due to a breach of contract under the terms of the insurance provided. A legal professional who specialises in representing clients in court or in a tribunal. Insurance bought as part of or in addition to household or motor insurance to cover the legal costs of pursuing a claim against another party. In respect of a compensation claim, the claimant must prove that the defendant was negligent, and that their negligence led to the claimant suffering injury. Having mental capacity implies that individuals can legally make a particular decision for themselves. This involves an individual being able to understand information and its implications, to remember this for long enough to make an informed decision, and then to be able to tell someone else what their decision is. If a person is assessed to lack capacity (ie. unable to make a particular decision or decisions for themselves), the law allows someone else to decide what should happen, depending on the specific circumstances. The most significant change in social care law for 60 years, the Care Act 2014 (implemented April 2015) sets out how people’s care and support needs should be met and introduces the right to an assessment for anyone, including carers and self-funders, in need of support. It replaces a host of out-of-date care laws, and spells out a local authority’s duty to ensure people’s wellbeing is at the centre of all it does. Often appointed by a solicitor in the case of serious injuries, or by the individual or family affected, the case manager will help to co-ordinate the rehabilitation process which might involve care, support, therapies and specialist equipment. They are clinically trained and are usually qualified nurses, occupational therapists or physiotherapists. The result of a dispute between individuals or companies that is resolved by the Courts. The person bringing the claim for compensation. A business that offers claims management services that help the public to make compensation claims for loss or damage. CMCs charge a fee for their services and often work on a ‘no win, no fee’ arrangement. On this basis, if they succeed in achieving compensation, they will charge a percentage of the award (plus VAT). Regulated by the Claims Management Regulator, part of the Ministry of Justice. Also known as case law or precedent, common law has developed through decision of courts deciding individual cases rather than statutes imposed by government. The section within the Department for Work and Pensions responsible for recovering benefits paid to an injured party as a result of someone else’s negligence. Where a compensation payment has been made, the CRU will recover social security benefits and hospital fees for emergency treatment from the insurer. The most common form of funding for brain injury claims and usually referred to as a ‘no win, no fee’ agreement. In essence it means that a solicitor will not charge the injured individual for their fees if the claim doesn’t succeed, but in some circumstances will charge a ‘success fee’ which is a proportion of any damages awarded. Partial responsibility of a claimant for the injury suffered for which damages are claimed. Measured as a proportion in respect of which he/she claims damages. The costs of pursuing a personal injury claim could include the solicitor’s time spent on the case, medical reports, court fees, accident reports and Barrister’s fees amongst others. The losing party usually pays the winner’s costs. Personal injury cases are heard in civil court rather than criminal court. Cases will therefore either be heard in County Court, or in the High Court (in London or in District Registries). Exists to safeguard the interests of vulnerable people who don’t have the capacity to make particular decisions for themselves. The Court can appoint a deputy to look after the affairs of the injured person who can either be a professional adviser or a close family member or friend (known as a lay deputy). An executive agency sponsored by the Ministry of Justice, CICA administers the Criminal Injuries Compensation Scheme dealing with compensation claims from people who have been physically or mentally injured as the blameless victim of a violent crime. A government funded scheme intended to compensate the innocent victims of violent crime whose lives have been seriously disrupted through no fault of their own. Substantial sums can be awarded, up to a maximum of £500k, but very specific conditions and time constraints govern which claims are considered. Generally used to refer to the total amount of compensation a person is entitled to receive. General damages are awarded for the injury suffered; special damages are awarded for financial loss and expenses resulting from the accident / injury. A type of ‘no win, no fee’ agreement sometimes referred to as a Contingency Fee Agreement. Under a DBA, a lawyer is able to deduct up to 25% of the compensation recovered which contributes to the costs incurred in running the claim. In some circumstances those costs may be recoverable in full or in part from the losing party. No fee will be charged if the claim is unsuccessful. The person or party against whom a claim for compensation is brought. The Deprivation of Liberty Safeguards (DoLS) provide legal protection for vulnerable people who become unable to consent to care or treatment and who may become deprived of their liberty, most commonly in a care home or hospital. The care home or hospital must apply for and be granted a DoLS authorisation from the local authority. In any other location, DoLS require an application to be made to the Court of Protection. Authorisation of a deprivation of liberty should be seen as a last resort and authorisation should never be used simply for the convenience of staff or carers. Payments made by solicitors on behalf of their clients for medical and other expert opinions and reports and court fees required to pursue a claim. In common law a person is required to take 'reasonable care' if he is in a situation where, if he were to fail to take such care, it can be foreseen that somebody else might suffer injury or loss. Negligence can therefore arise out of a positive act or, alternatively, an omission or failure to act. See Negligence. Functions that underlie the ability to systematically formulate and implement plans and to make and implement decisions. For example planning, organising, problem solving, sequencing, self-monitoring, controlling behaviour. Refers to how legal fees will be paid. There are a number of different ways in which legal advice can be funded including Conditional Fee Agreement, Damages Based Agreement (or Contingency Fee Agreement), Legal Expenses Insurance, Trade Union. The most appropriate method will depend on the individual circumstances of each claim. The compensation awarded for pain, suffering and loss of amenity. The HRA mostly came into force in 2000 and sets out the fundamental rights and freedoms of individuals in the UK. The HRA makes it unlawful for any public body to act in a way which is incompatible with the European Convention on Human Rights. Undertaken in the early stages of a claim as part of the Personal Injury Protocol to identify the clinical, domestic and occupational needs of a seriously injured claimant. Normally carried out by a medical or rehabilitation professional such as occupational therapists or physiotherapists. An IMCA can represent people who are unable to make important decisions for themselves and have no-one else – friends or family - to help them. A legal inquiry into the causes and circumstances of a death, usually carried out in public by the coroner alone. In some instances, a jury will be required (eg. if the death was the result of an accident at work or occurred in police custody). Inquests are concerned with determining the cause of death, not in establishing whether or not anyone was responsible for the death. An amount paid during the course of a claim to someone on account of damages that a defendant might be liable to pay at the end of the case. They are intended to prevent the claimant suffering financial hardship before the case is resolved, but are not available in every claim. Public funding that is now only available for a limited number of personal injury actions such as clinical negligence cases that involve neurological injury resulting in severe disability arising during pregnancy, childbirth or within the first eight weeks of life. Eligibility includes means testing. Included in the majority of buildings and contents or motor insurance policies which might be used to fund a claim. The initial letter to the alleged negligent party that sets out the basis on which a claim is being made. The state of being legally responsible for something happening or not happening (negligence). The period within which a court action can be brought following the accident giving rise to a claim, normally three years in the case of personal injury, or two years to the CICA. The limit also depends on the age of the claimant at the time of the accident and/or their mental capacity following the accident. 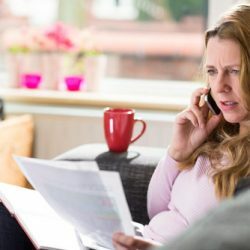 Any claimant under the age of 18 or who lacks capacity must have a ‘litigation friend’ – usually a parent or guardian – to pursue the case on their behalf. One element of compensation for financial loss following an injury. If a claimant is unable to return to work, or returns to work in a different role with reduced earning capacity, a claim for future loss of earnings may be made. This Act, which came into force in 2007, empowers and protects people who are unable to make some decisions for themselves. It also enables people to plan ahead in case they are unable to make decisions for themselves in the future. Five key principles govern the practical implementation of the Act, and the starting point is that a person should always be assumed to have capacity to make a decision unless proved otherwise. Every decision taken on behalf of someone lacking capacity must be taken in their best interests. Established to compensate the victims of negligent uninsured and untraced motorists. Each insurer underwriting compulsory motor insurance is obliged to be a member of the MIB and contribute to its funding. NHS Resolution, established in April 2017, has evolved from the NHS Litigation Authority which provides indemnity cover (like insurance) and manages legal claims against the NHS, including those for clinical negligence. NHS Litigation Authority (NHS LA) – providing indemnity schemes for the NHS in England and resolving claims for compensation fairly. National Clinical Assessment Services (NCAS) – resolving concerns about the performance of individual practitioners. Family Health Services Appeal Unit (FHSAU) – ensuring the prompt and fair resolution of appeals and disputes between primary care contractors and NHS England. Failure to take reasonable care: doing something which a prudent person wouldn’t do, or failing to do something which a prudent person would do under similar circumstances. The legal principle of negligence essentially means that when someone acts in a careless way resulting in harm to another person, the careless person will be held legally liable for that harm. An executive agency sponsored by the Department of Justice, the Office of the Public Guardian (OPG) protects people in England and Wales who may not have the mental capacity to make certain decisions for themselves. Supports the Public Guardian in carrying out the functions of the Mental Capacity Act 2005. One element of compensation for the effects of an injury including the pain and suffering caused and the impact of the injury on the Claimant’s enjoyment of life (‘loss of amenity’). Loss of amenity might include confinement in hospital or a protracted period, or being left with a long term disability that prevent the Claimant pursuing their previous interests and activities. A mechanism that enables both parties to make offers of settlement. A sum of money paid to a successful claimant at regular intervals in the future, often for life. It might be agreed by the parties involved in a claim, or ordered by the Court if the arrangement best meets the needs of the claimant. Periodical payments are effectively a tax-free income and usually inflation-proofed so that the buying power of the income isn’t eroded over time. A local Clinical Commissioning Group (CCG) assesses a person’s needs for NHS continuing healthcare and may allocate a personal health budget for NHS support and care needs. A personal budget is for social care and support needs as assessed by the local authority. 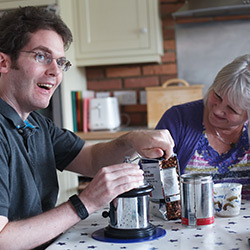 An individual budget includes social care and support needs plus other funding, such as independent living. The protocol sets out a number of steps each party to a claim must take before considering court proceedings. Its aim is to encourage claims to be settled without the need to go to court by promoting openness and co-operation. A legal instrument used by trustees to manage compensation / damages awards on behalf of the injured party (beneficiary). Using a Personal Injury Trust means that the injured party retains their entitlement to means-tested state benefits and local authority support. A power of attorney enables one person (the attorney) to manage the affairs of another person (the donor) when they are no longer able to or no longer want to do so themselves. Different types of powers of attorney exist. Ordinary (or limited) power of attorney – only valid whilst the donor still has the capacity to make decisions for themselves regarding their finances. Useful if the donor wants to give someone authority to deal with limited assets on their behalf, eg. a bank account. A lasting power of attorney (LPA) gives the attorney the authority to make decisions on your behalf in the future. A financial LPA deals exclusively with financial matters. A health and welfare LPA enables an attorney to make decisions about issues such as where the donor might be cared for, what kind of treatment they receive and day-to-day personal matters such as diet, dress and daily routine. The enduring power of attorney (EPA) was superseded by the LPA in 2007, but any EPA signed before then is still valid. EPAs only deal with property and financial affairs. Rules which set out how the parties are expected to behave before a claim is brought to court. A principle or rule established by a court in a previous case that is either binding or persuasive for other courts when deciding similar future cases. The value of a claim or part of a claim for damages. Developed jointly by insurers and claimant lawyers, this voluntary code provides a framework to help all those involved in a claim to work collaboratively to speed up the potential for rehabilitation and recovery of an injured person. Part of the pre-action protocol for personal injury claims which requires both parties to consider as early as possible whether the claimant has reasonable needs that could be met by medical treatment or other rehabilitative measures. They should discuss how these needs might be addressed. Under the Mental Capacity Act 2005 the Deprivation of Liberty Safeguards (DoLS) protect people who are being deprived of their liberty in a hospital or care home; the safeguards provide for all vulnerable people in this situation to have a Relevant Person’s Representative to support them during their stay and to ensure that their best interests are upheld. If there is no family member or friend able to act as the RPR, an independent advocate may be appointed. Independent regulatory body that oversees solicitors and law firms in England and Wales. The compensation awarded in respect of certain expenses such as loss of earnings, loss of future earning, medical bills, damage to personal possessions. Following a community care assessment, Social Services may decide that a person is in need of care and accommodation. In some circumstances they are obliged to provide a minimum level of care, known as the statutory care provision. A duty imposed on some person or body by an act of parliament or regulation. A breach of a statutory duty is considered a criminal act. A settlement where all or part of the damages awarded are paid as a continuing series of regular periodical payments to the injured party for the rest of his or her life. Most likely to occur in major personal injury cases, particularly where the injured party is a minor. An element of a Conditional Fee Agreement previously recoverable from the losing party at the end of a claim together with some legal costs and expenses. Rule changes in 2013 mean that the success fee element of a CFA is deductible from any damages awarded up to a maximum of 25%. A body with authority to determine specific types of claims or disputes. A legal relationship created when assets are placed under the control of a trustee for the benefit of a beneficiary, or for a specified purpose.